Home → Personal Transformation Strategies → If You Booze, You Lose! If You Booze, You Lose! For many people, who have been jacking themselves up on stimulants all day ( i.e. caffeine, nicotine and sugar ), there comes a point when what comes up, must come down. Since alcoholic drinks eventually create a state of tranquility and stupor, they are the preferred choice to close out the day. Alcohol is one of the the oldest recreational drugs in existence and it is as popular today as it’s ever been. And why not? In a society that demands so much, when there isn’t time for simple pleasures, and when some people are teetering at a mental breaking point, a little boozing can temporarily restore a sense of order and control. Of course many people take it too far. The devastating effects of its abuse on the individual and their families are profound and well documented. If you plan to embark on a lifestyle change program this year to get fit and manage your weight, controlling your alcohol consumption is vital. In this, the fourth installment of my Habit Change Series, I want to challenge you to reduce (or eliminate) your consumption of alcoholic beverages. I’m sure this will be the least popular habit to change, but the effect of which will be profound for some people. This habit should also be reinforced with a commitment to better fluid management. Let’s get started. Make no mistake, alcohol is essentially a poison. When consumed, it must be detoxified by the body immediately. During this process, alcohol takes its grip on your brain by altering your thoughts, moods, judgement, learning and memory. For shy folks like myself, alcohol weakens social restraint, suppresses anxiety and, for better or worse, inhibited emotions and behavior begin to emerge. Alcoholic drinks have a diuretic effect in that they increase urine production. Alcohol consumption also destroys millions of friendly microorganisms in your gut. This and the diuretic effect can cause a state of dehydration and sickness commonly known to all of us as the hangover. 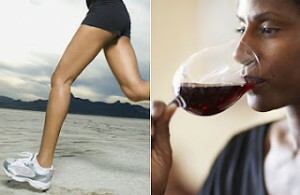 The effects of which can be minimized with hydration, electrolyte and anti-oxidant therapy, before and after “boozing”. Regular drinkers almost always struggle to manage their weight. Recent studies have closely linked high alcohol consumption to increased abdominal body fat, waist circumference and waist-to-hip ratio. All three are import markers that correlate with CVD risk and morbidity. It’s not just alcohol that’s the culprit here, it’s the lifestyle and eating habits that go with the territory (for most people) that also have an impact. Alcohol contains only empty calories (about 7.5 per gram) and although does not directly convert to fat, it does greatly reduce or inhibit the oxidation of body fat stores. Even if you drink in moderation, be aware of the extra calories in alcohol, as well as the calories you consume before, during and afterwards. Alcohol has been shown to increase appetite especially for salty, high fat foods. But as long as you’re in “energy balance” ( calories in = calories out) you won’t gain weight. If you’ve created a caloric deficit (by restricting calories) you should still lose weight. But the problem now is that you must give careful consideration to your rather small “caloric budget” . How will you spend your calories? A couple of drinks on a 1,400 calorie diet could account for nearly a third of your daily intake and displace nutrient-dense whole foods. To help you cut back, there’s an online calculator to help determine the calorie content of your favorite alcoholic beverages. The average Canadian women consumes around 1,600 calories a day. Despite what you may think, it’s nearly impossible to meet even the minimum nutrient requirement from such little food. Even if all that food was whole, natural and organic (which of course it’s not), it may take as much 2,500 calories to provide enough vital nutrients to meet the demand. If you regularly consume alcohol, or even coffee, teas, sugar and antibiotics, you can be sure those important nutrients are never being absorbed the way they should. The resulting nutrient deficiency can elicit a starvation response within the body, kicking your evolutionary fat storage capacity into high gear. It’s pretty obvious why you shouldn’t drink alcohol prior to heading to the gym for a workout. But alcohol can still have a huge impact on your performance and function, regardless of the timing. Alcohol is known to lower levels of IGF1, testosterone and hGH, all of which (when lowered) will affect exercise performance and contribute to accelerating the biological aging process. It also interferes with glycogen re-synthesis and blood glucose levels. This results in impaired strength, endurance and recovery capacity. Bad news for athletes and anyone looking to fully benefit from an exercise program. Continuous consumption of alcohol has been shown to cause a condition called alcoholic myopathy in many users. This condition is characterized by a total muscle loss of about 20%. Obviously not good if you want to be strong, functional or even look your best for that matter. Muscle directly impacts your metabolism and less muscle means you utilize less energy and store more body fat. This creates the “skinny-fat” look. While a drink every now and then is considered “acceptable”, long term abuse can lead to premature aging, liver cirrhosis, brain damage, CVD, osteoporosis, and severe organ damage. There is evidence to support that having an occasional glass of wine or two can have heart health benefits. More recently though, these benefits have been questioned by some experts, citing that these recommendations are no longer applicable to our modern, fatter population. 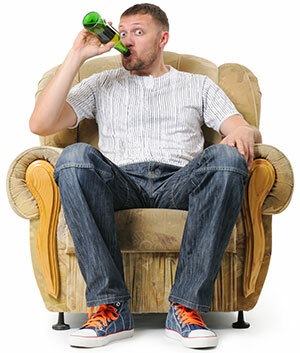 The proposed benefits of alcohol may simply be outweighed by all the negatives. It’s true that red wine is a valid source of resveratrol which has well documented cognitive enhancing, and anti-inflammatory properties. However, these benefits are erroneous if you don’t consider the quality of your wine, how it was fermented, produced and with what materials? The quality of your wine is relative to the quality of the ingredients used to make it. Most commercial wines contain far too many additives and chemicals to ever be considered healthy. Besides there’s plenty of resveratrol found in foods such as red and white grapes, blueberries and peanuts. You can even pick it up in capsule form as a nutritional supplement. Abstain from alcohol a few nights a week. In time you’ll learn to be less reliant on alcohol. If you must partake now and again, do so responsibly, choose lower calorie options, avoid caffeinated mixers and consume a glass of water with every drink. Reducing alcohol consumption, together with implementing other healthy habits like eating a balanced breakfast, eliminating harmful stimulants and becoming more active, are collectively part of any successful healthy lifestyle program. Geesh Craig – I LOVE MY WINE …no fair!